By 2030, the circular economy will be standard in Rotterdam. But what exactly do we mean by that? Read the report about the research that focused on four key sectors that determine a circular Rotterdam: construction, consumer goods, agri-food and healthcare. This is the municipality of Rotterdam digital counter for start-up and established entrepreneurs alike. Here, you’ll find all possible information on regulations, permits, taxes, subsidies and legislation which apply to you as a (new) (circular) entrepreneur. The enterprise counter will inform you of the value of circular enterprise, and will recognise and provide support for potentially circular aspects of your plan. Your plan may also be referred for specific support. 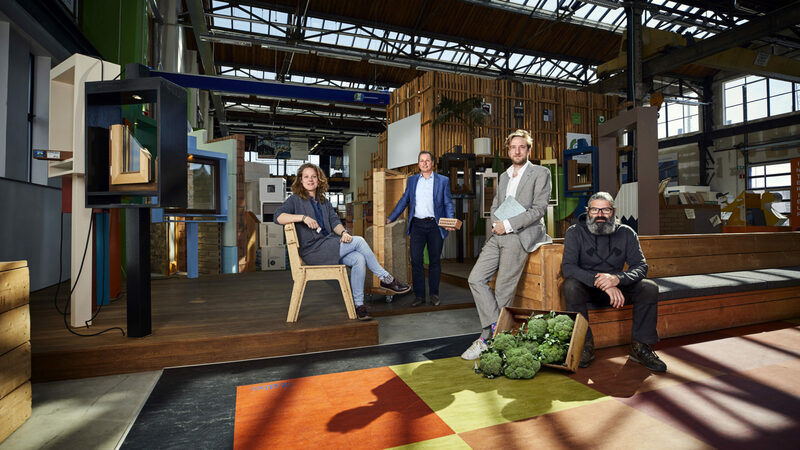 Rotterdam has expressed its ambitions in the field of the circular economy. After all, large urban areas offer a perfect opportunity for a circular economy. Although accounting for only a small share of the land surface area, they are responsible for virtually all commodities consumption. This is further enhanced by the port, with all its imports and exports, and industrial consumption of commodities. Everyone can work towards the circular city, whether you’re an administrator, entrepreneur or resident. It starts as simple as sorting waste; if you ensure that your household waste is separated for collection, you’re complying with an absolute condition for the circular economy. Why not check out the other initiatives listed on the website? A local business may be selling something really useful to you, or you could even do some volunteering work. Do you have any plans, questions or suggestions for us? If so, let us know via the contact page. Well done! We’re looking forward to getting to know you, to see how we can help each other. Please contact us via the contact page.